I've heard so many clients tell me their past experiences working with a designer were far from rewarding. Design is supposed to be smart and fun (all the things you look for in a best friend or life partner), so it's no wonder you need to date around a bit to find the designer who's right for you. It's not just a matter of finding a designer who's available, but finding a teammate who will improve your brand culture. Want to skip the awkward dating phase? 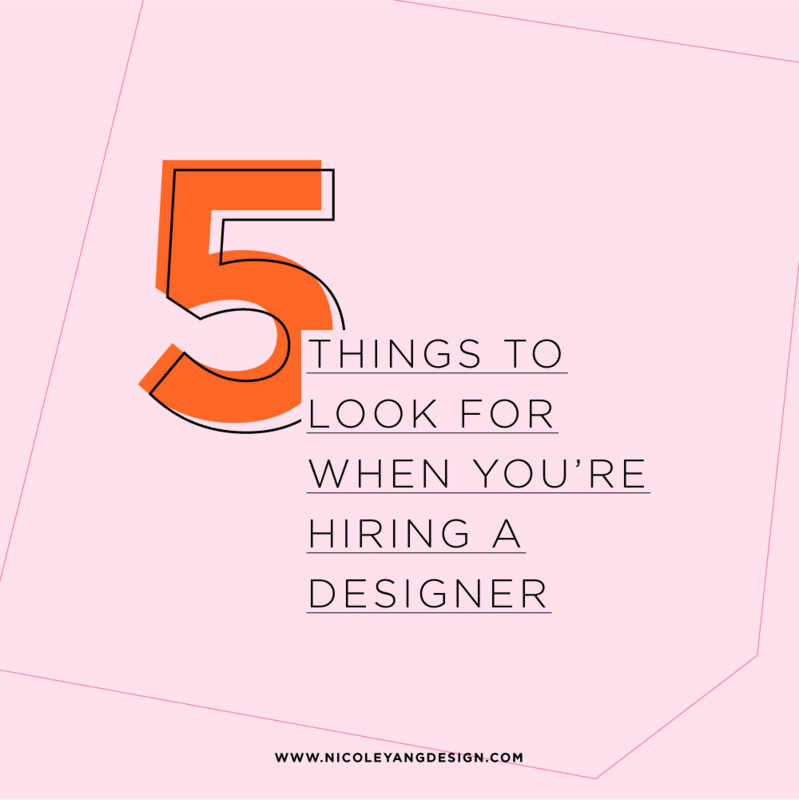 Here are the top 5 things to look for when you're hiring a designer. Has she worked with businesses in your industry or serving similar target audiences? Answering no to this question isn’t necessarily a deal breaker, but it will mean you’ll have to provide more expertise, demographics, and marketing conventions specific to your industry. You may be paying for her to do more research than she would normally. Do you share similar values when it comes to business and marketing? If you want a business partner who will anticipate your future needs and suggest better ways to market to your target audience, search for a designer who approaches their projects holistically, inquires about your company history and goals, and is genuinely curious about how your run your business. A designer who simply wants to get the job done and spends little time getting to know what makes you different will ultimately leave you unhappy with the finished product. Are you comfortable voicing your thoughts with her? Does she clearly explain ideas to you? So much of what makes your business unique and what makes a design effective is nuanced. The exploratory process can also be involved. Make sure you’re both able to talk about those nuances and discuss ideas or disagreement in a productive way. Is her work high quality? Does she express a mastery of colors, spacing, typography, and balance? Does her artwork have a defined style? Is she able to complete your project in your ideal timeframe? If not, is she able to explain why the process takes longer than anticipated? Is she within your budget? If she isn’t, what value is she providing that justifies her price? The best way to discover if you're a good fit? Always schedule a quick call to talk out your ideas and get a sense of how you'll interact together. Consultations might get repetitive if you're considering multiple candidates, but when you've found the right partner, the search will have been worth it and you'll click right off the bat! Not sure if you need help? Download the quiz: "How to Tell if Your Brand Needs a Little Design Help"
Sign up to receive the free design quiz!